1. 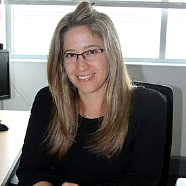 Using large-scale databases to examine abuse and vulnerability in populations with ASD and other developmental disabilities. 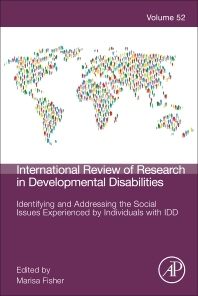 Identifying and Addressing the Social Issues Experienced by Individuals with IDD, Volume 52 provides an ongoing scholarly look at research into the causes, effects, classification systems and syndromes, etc. of developmental disabilities. Updates to this new volume include chapters on Using large-scale databases to examine abuse and vulnerability in populations with ASD and other developmental disabilities, Peer relationships among children with ASD: Social acceptance, friendships and peer networks, Negative peer experiences in adolescents with ASD in the general education setting, Pathways to Inclusion and Belonging: Peer-Mediated Interventions for Students with Severe Disabilities, and Social Vulnerability in Williams Syndrome. Contributors to this series come from wide-ranging perspectives, including genetics, psychology, education, and other health and behavioral sciences.